You may think that Singapore is only for business and shopping and that there’s nothing much else one can do. You also may think that taking your partner there won’t be as romantic as taking them to Paris or Rome. Nothing could be further from the truth. Singapore is a modern, fast-paced city, but it has a lot of charm and, especially during the night, it can be as romantic as any other famous metropolis. Nowhere else in the world is there such a great variety of luxury hotels, which are perfect for couples. Only in Singapore you can have a room with floor to ceiling glass windows, overlooking one of the most breathtaking city panoramas. If you are thinking of booking a hotel in Singapore for you and your other half, then read on to find out the best hotels in Singapore for couples. We hope we can help you with planning your romantic city break and make your holiday very special. Marina Bay Sands has the world’s highest and longest swimming pool. Located on the top of the building, it provides amazing views of the city. The rooms of the hotel have floor to ceiling windows and, thanks to the 24-hour in-room dining service, you can organise a romantic dinner for your loved one in the privacy of your suite. 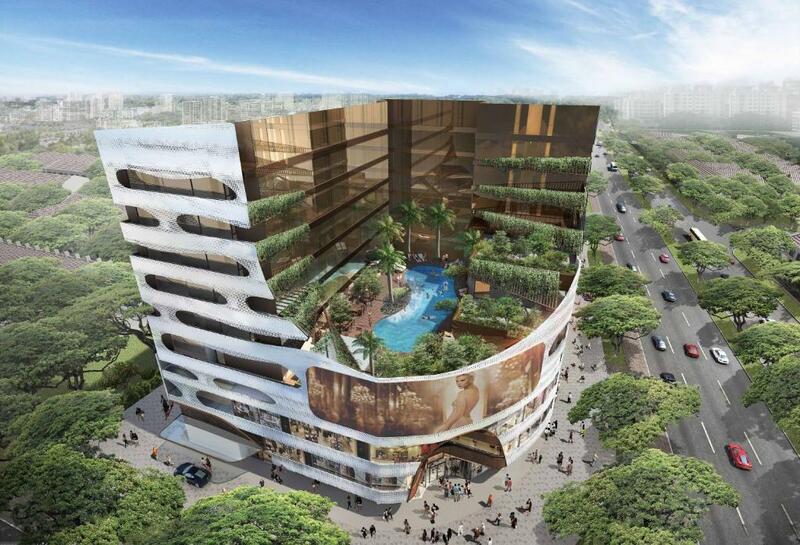 Carlton Singapore is located in the Civic District and houses over 900 rooms. Despite its size, it still provides privacy and relaxation to its guests. There are 4 different restaurants, each providing a slightly different dining experience, but they are all a perfect background for a romantic meal. Amara Singapore is easily accessible by public transport. It is also within walking distance from the charming Chinatown, and the 100 AM - a lifestyle shopping mall - is just right next door. If you are tired with sightseeing then you can make use of the hotel’s Balinese-themed swimming pool. Grand Hyatt is one of the most luxurious hotels in Singapore. All of the rooms here are large and provide a ‘home away from home’ feeling. The hotel is close to all the attractions of the city, and you can have an amazing night out with your partner without even taking a taxi. The Ritz-Carlton Millenia is not just a luxury hotel. It is a place which stores amazing art by Andy Warhol, Frank Stella and Dale Chihuly. If you and your loved one are art lovers and would like to make your stay in Singapore a little bit more special, then this hotel is for you. The rooms come with views of the Marina Bay, or the city skyline. Shangri La’s Rasa Sentosa Resort is located on Sentosa Island in Singapore, and is Sentosa’s only beachfront hotel. It is hard to believe that the hotel is only minutes away from Singapore’s busy business and commercial district. A 15-minute drive from the city centre will bring you to this tranquil and quiet place, with lush gardens and ocean views. This historic hotel offers over 200 rooms and suites, furnished with luxurious and contemporary materials. Nearby you will find the Gardens by the Bay, which are perfect for romantic walk, or a picnic. Riverview Hotel Singapore is located near the historic part of the city, and set amidst the Singapore River. During your romantic break you can enjoy the hotel’s lounge and listen to the live music, or you can have a wonderful night out at nightspot Zouk, which is just a short walk away. If you fancy a romantic dinner, then restaurants and bars are within walking distance. Four Seasons Hotels are known all around the world for their great customer service and romantic ambience. Their Singapore branch is no different. Here you can enjoy special menus, prepared for couples, exclusive personal shopping experience and have a relaxing day at the rooftop swimming pool. Orchard Hotel is located by the famous Orchard Road. It is an elegant, beautiful place with all the important amenities that a couple would require, including an outdoor swimming pool, a poolside bar, restaurants, and even a ballroom. At Sofitel So Singapore, timeless French elegance mixes with Singapore chic. Here you can discover local experiences and cultural heritage. The hotel is very close to shopping centres and all major attractions. It offers special discounts for couples on their honeymoon. The Scarlet Singapore is a perfect place for a romantic break. Comparing to the other hotels in the city, The Scarlet Singapore is a cozy little place with boutique and luxurious design. It is only 5 minutes’ walk from Chinatown and from Singapore’s financial district. The hotel offers packages for couples, which include milk baths and a bottle of wine. If you are looking for a place to escape your daily life and surround yourself with nature and luxury, then Sofitel Singapore Sentosa Resort might just be your perfect choice. Offering exquisite sunset views from the clifftop above Tanjong Beach, it is the newest luxury 5-star hotel in Sentosa offering a haven of tranquility and relaxation. These architecturally stunning serviced apartments have been inspired by lush rainforest and its shadows. The Forest by Wangz is equipped with designer furniture and features contemporary artworks. It is a wonderful place to stay with your partner during a romantic weekend. Set in the historic part of Singapore and overlooking the river, the Grand Copthorne Waterfront Hotel is one of the biggest hotels in Singapore. It is very close to the Robertson Quay and Clarke Quay, which makes it an ideal place to stay if you would like to enjoy the river views and romantic evening walks. One of the features of the Capella Singapore, which is different from any other hotels, is the personal assistant service this 5-star hotel provides. As soon as you book your stay, the hotel will assign you your own personal assistant, who will help you to plan your stay. So why not make your romantic break even more special? This lovely boutique hotel is located in the heart of Chinatown, providing its guests an unlimited access to Singapore’s major attractions. Each room is individually designed and features elements of street art, manga and some minimalist and retro details. The retro elements of the Rendezvous Singapore Hotel provide interesting and contemporary interior design, evoking an appreciation of the past while relishing the new-age design elements, as well as edgy artistic expression by the use of modern technology and connectivity. Jen Tanglin has recently gone through a massive renovation. It is suitable for travellers who appreciate stylish and comfortable rooms. The contemporary guest rooms will provide you with privacy and all the modern amenities. Raffles Hotel Singapore was first opened in 1887 and is one of the oldest hotels in the world. It has hosted many celebrities, including Michael Jackson. The hotel is situated in the business district, but it provides a relaxed and peaceful atmosphere. Village Katong is one of just a few hotels located in the east of Singapore. It is very close to Parkway Parade Shopping Mall and East Coast Park. It offers the Infinity Pool, which is perfect for couples who want to spend some time and enjoy each other’s company. New Majestic is located in the heart of Chinatown, in a traditional conservation shop. Here, the modern is mixed with tradition, design and local culture. There are 30 uniquely designed rooms, equipped with customized baths, private gardens and six meter-high (20 feet) ceilings. Wangz is an iconic landmark in the busy centre of Singapore. It offers stylish and contemporary rooms, especially designed for leisure travellers. The interior is beautiful, yet inviting and warm. The hotel houses a private collection of art, which you can admire at your own pace. Despite being located in the busy business district of Singapore, Furama City Centre provides an atmosphere of calm and relaxation. You can enjoy the swimming pool, or lay down in the sun on one of the deck chairs. There are 3 restaurants to choose from, where you can have a candlelight dinner. Raintr33 is set in Changi Village - a very calm and green area of Singapore. All rooms here have been individually designed and prepared to provide you with comfort and relaxation. The hotel is very close to the Changi Beach Park, where you can wander around, or have a nice picnic. Fairmont Singapore provides you with many amenities, activities and attractions. You can dine at one of 15 restaurants and bars, or make use of the hotel’s spa, relax by the pool and have a game of tennis at one of the six tennis courts. The Residence is centrally located, very close to shopping centres and Orchard Road. The rooms are equipped with much-needed amenities, including air-conditioning and free Internet. Stay here if you are looking for a short break with your other half and would like to stay in a conveniently located hotel. A great option for those who would like to be a little bit more independent. Louis Kienne offers 95 guest rooms with a swimming pool, lounge and a cocktail bar. It is located in the Marina Bay, which is great for watching the city’s skyline at night. Hotel Clover 5 Hongkong Street was opened in 2013 and since then, it has been providing visitors with quality customer service. It is located very close to Clarke Quay and Raffles Place, as well as Chinatown and other attractions in the city. Swissotel Merchant Court is ideally located by Clarke Quay. It features over 400 large and comfortable rooms and offers amenities such as: swimming pool, an outdoor jacuzzi and a fitness centre. The hotel’s restaurants and bars overlook the river and are wonderful places for a romantic dinner. Hotel Boss is very conveniently located just 350m (382 yards) from the Lavender MRT Station. For those who would like to immerse in a cultural experience, the Malay Heritage Center and Sultan Mosque are situated within walking distance. Other nearby attractions include the 24-hour Mustafa Center. Guests residing at this hotel enjoy the wide variety of dining options. For the enjoyment of guests, there’s a swimming pool and a fitness center. The resort provides free parking and non-smoking rooms. There’s a bar where you can relax and enjoy a drink, or perhaps choose to sit in the garden or on the terrace. Fax and photocopying services are available at the business center. Shops located on-site, free WiFi, and air conditioning makes for a comfortable stay. This hotel is chic, modern and bright. The light and airy ambiance come from the big glass windows and bright colors. Each room has a flatscreen TV, air-conditioning, and a kettle. Ideally situated close to a bus stop and with a shuttle service to MRT, getting around is easy. The hotel is located12 km (7 miles) from Changi Airport. Consider heading over to the swimming pool to enjoy a dip, or simply the attractive views that the place offers. Further, guests can expect many conveniences, including designated smoking areas, a gift shop, convenience stores, and parking. WiFi, a bar, and two dining options would definitely enhance the experience. Nearby attractions, inside of 10km (6 miles) radius include OCBC Aquatic Centre, Singapore Sports Hub, and the Marina Bay Sands Casino. At The Club, you will find everything you need: restaurants, bars, a day and night cafe and 20 stylishly decorated rooms. The rooms feature specially outsourced bedding, natural complimentary toiletries and an eclectic choice of textures. The Club is closed for the time being. Take your loved one for a romantic break in Singapore. Walk around the Gardens by the Bay, have dinner on one of the skyscrapers’ rooftops, ride the Singapore Flyer, or maybe dine in one of the capsules of the Cable Car. Singapore is not only for business. It is for romance, too. As soon as the sun sets and you see the city illuminated by thousands of lights, you will know that we are right. Book one of the hotels mentioned above and immerse yourself in luxury and comfort. Take your partner for a spa day, or stay in the room and enjoy all the facilities your hotel provides. Whatever you decide to do, we know that you will have the most romantic break in Singapore.